Dept. 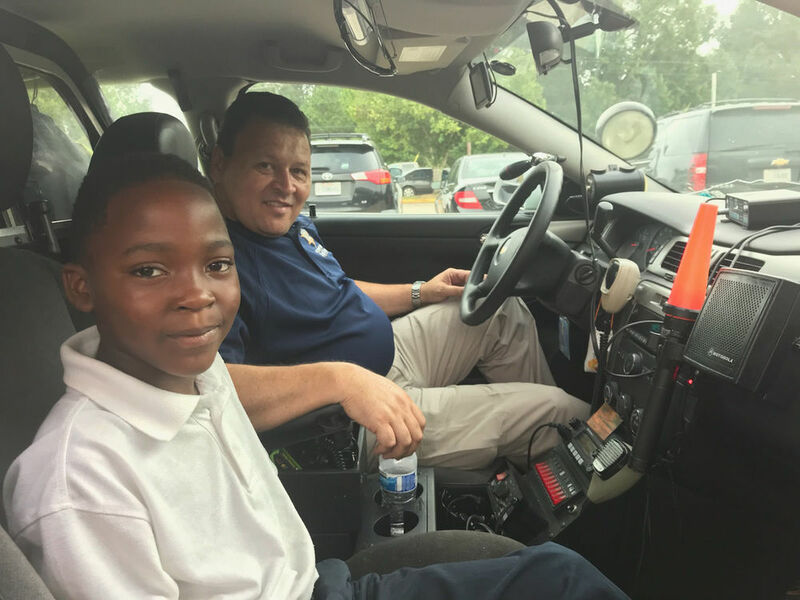 Shelton Scales recently took time with Xavier Barrow, a fourth-grader at Bains Elementary, to talk to him about his goal of becoming a police officer. Scales talked about the importance of keeping his dream, the important work of police officers and allowed him to learn about the cool tools in his police car. "I want to become a police officer because I want to help people," Xavier said.